Adult. Leonis phase. 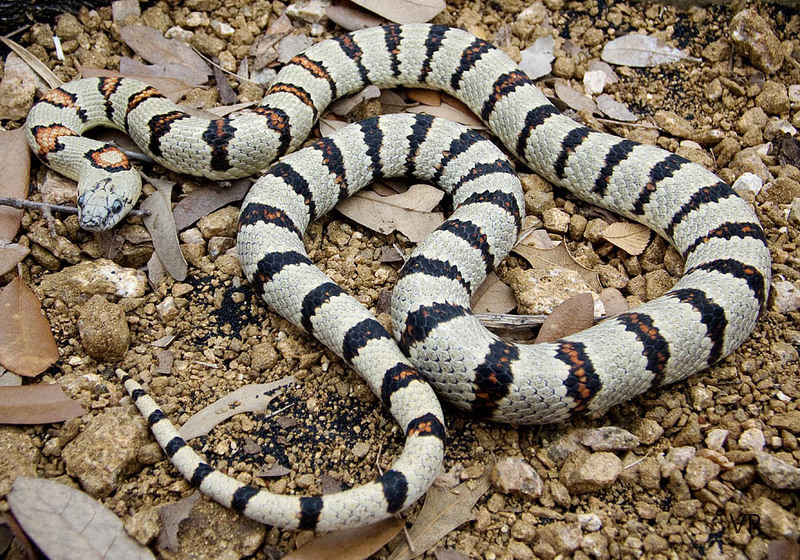 Like most Variable Kingsnakes with a white background (base color), this specimen was clear white as a hatchling, later becoming a soft gray from fine grain stippling. This is usually the fate of most, if not all, Variable Kingsnakes born with pure white base coloration. It is as if nature abhors pure white snakes.